Umm…even though it took me a while to get my hands on the game, I tried to speed through it in fear of any spoilers. 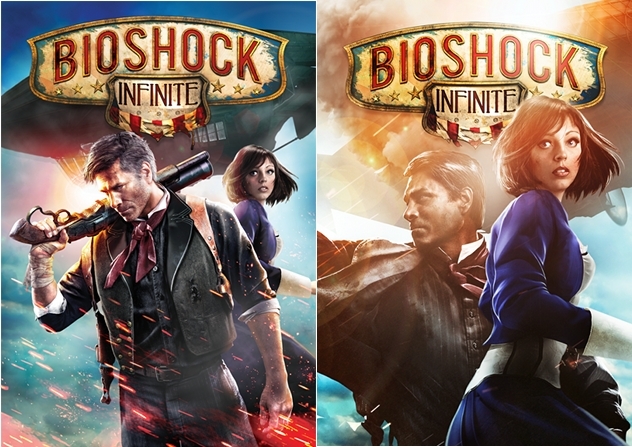 That said, DO NOT READ THIS IF YOU HAVEN’T FINISHED BIOSHOCK INFINITE. K. Still reading? Cool. Alright, so first off I want to say that this game was as beautiful and breathtaking and bamazing and all of the above as the first 2 games. I really enjoyed it. The worlds the BioShock games take you to are truly some of the best worlds in video game history. That said, I’m not going to do a full review of the game because that would take forever. Instead, I wanted to talk about that ending. Ahem, excuse me. DAT ENDING. Before I got a chance to play the game, I had heard people talk about the ending in shock and awe. What terrified me was people saying that they got the ending spoiled for them, and I sure as hell didn’t want that to happen to me. SO, now that I’ve finished the game, here are my thoughts on the ending. When you get to the end, Elizabeth takes you to a place with a ton of lighthouses. These are doors to different worlds. More specifically, these are doors that can take you to different paths down a single lifetime. Booker DeWitt = Big Daddy? Like most stories I encounter, I fall into the trap of trying to predict what will happen next, especially the ending of Infinite, since so many people were talking about it. Well, as I got towards the end and could feel the ending coming on, a thought came to my head. How come we went through most of the game not hearing a single mention of Rapture, the underwater city from the first two games? Sure there were some similarities, such as Vigors instead of Plasmids, but there was no direct mention of Rapture at all as you’re going through Columbia. Then, as you get towards the end, you end up in Rapture. It’s a very short walk through the underwater city, but it’s still there. Then, as this whole concept of alternate universes and personalities comes into my mind, I had a strange thought. 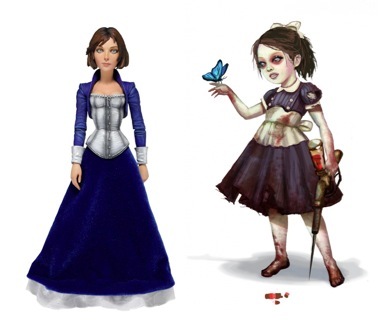 Elizabeth kinda looks like an adult version of the Little Sisters from the first two games. And Booker DeWitt’s initials were BD, same as Big Daddy, who protected the Little Sisters. Is this some connection between the first two games and Infinite? We saw a bunch of different Elizabeths at the end of Infinite, could the Little Sisters be smaller Elizabeths, and could the same be said for multiple DeWitts with the Big Daddies? As I got to the final FINAL ending (yes, stay after the credits), I slowly began to realize that maybe my predictions weren’t true after all, especially since I didn’t really research the timelines of all the games. What came first and what not. However, the coincidences are too great to ignore. I still have a ton of thoughts on the ending and the entire game overall, but those are the two most important things I wanted to discuss. If you want to read other thoughts, there are many you can check out, including this one that I had fun reading. But let me know what you think in the comments, because I really just need someone to talk to. This entry was posted in Games and tagged bioshock infinite, ending, Video Games. Bookmark the permalink.